According to a recent report from NY1, an elevator mechanic fell to his death while on the job. He was working in a luxury tower building on the Upper West Side in New York at the time of fatal workplace accident. One resident interviewed couldn’t believe what happened as she had just spoken with decedent prior to the tragic work-related fall accident. Another resident said they were headed to the lobby to leave the building and saw chaos as the building was filled with police and rescue workers and the elevator shaft was locked open. Police say victim was pinned between two elevators, one of which came down directly on top of him. He was crushed when the elevator hit him and pronounced dead on the scene. When emergency personal first arrived, victim was unconscious and not responsive. The workplace accident occurred just before noon. Building department has released a statement saying the building had three still-pending violations of the city’s building code, all having to do with the elevators involved in the incident. For the past four months, an elevator service contractor had been conducting repairs to get them up to code and fix any remaining problems. That is presumably what victim was working on when the accident happened. The lengthy repair process was due in part to building owners wanting elevators fixed one at time rather than shutting all four down to complete repairs in less time. Another person interviewed for the news article was an elevator repair employee who did not work on this project, but did offer some insight into how dangerous elevator repair can be. 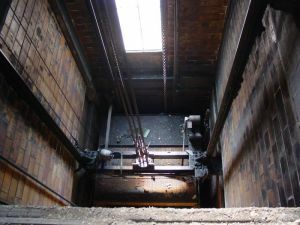 He said all the moving machinery and tight spaces, make working in a elevator shaft extremely dangerous and at times, quite a treacherous work environment. He also said that when working with a partner in such tight quarters, communication is the key to avoid injury or death from the moving machinery. In this accident, the deceased employee did have a partner with him in the elevator shaft, and authorities indicate the partner was not injured during this tragic accident. If you are the surviving spouse or other family member of an employee who was killed on the job, you should speak with a Boston workers’ compensation attorney about filing a claim. Due to the way workers’ compensation system was set up, you may be precluded from filing a negligence-based lawsuit in civil court, and will need to claim recovery for medical bills, funeral expenses and lost wages through the workers’ compensation program. However, there are several advantages to this system, as it is not required to prove any fault or negligence on behalf on victim’s employer as you would in the case of a civil negligence lawsuit. It is only necessary to establish victim was an employee, as opposed to an independent contractor, and was killed as a result of an on the job injury or a work-related illness. It should be noted this does mean employer’s workers’ compensation insurance provider will quickly approve your claim. Your workers’ compensation attorney may have to fight for your rights to a full and appropriate workers’ compensation award.